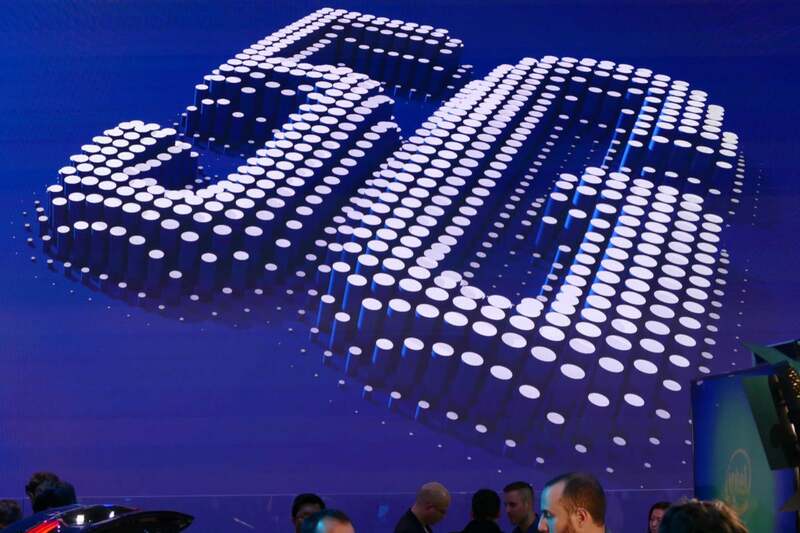 Mobile World Congress takes place this week, so it’s time again for carrier and vendors to serve up bold claims about what 5G cellular will do for users -- this time, with a dash of realism. Like most other carriers, T-Mobile is testing pre-standard 5G technology, and Ray is enthusiastic about the next generation in the long term. But he reminded the audience that some parts of 5G, like using ultra-high frequencies to reach mobile devices, still face big technical challenges and 4G will still be around for years after the first big 5G rollouts happen around 2020. Underscoring that caution, Ericsson itself isn’t quite sure how most industries will use 5G. Faster mobile service for watching 4K videos, and broadband to homes and businesses without deploying fiber, are clear uses for 5G, said Christian Hedelin, head of strategy for Ericsson’s network products unit, in an interview Monday. So is public safety, which would benefit from low latency. But Ericsson is still talking with academics and industries to figure out what else 5G can do. “Most of the use cases are still in the making,” Hedelin said. Enterprise uses are the focus for many participants in this year's show, a shift from flashy promises of mobile broadband speeds a year ago. The key enterprise benefits worth exploring, vendors say, are high reliability, low latency and longer IoT battery life through more efficient networks. Some of the demonstrations at MWC offered tantalizing glimpses of what may be possible. 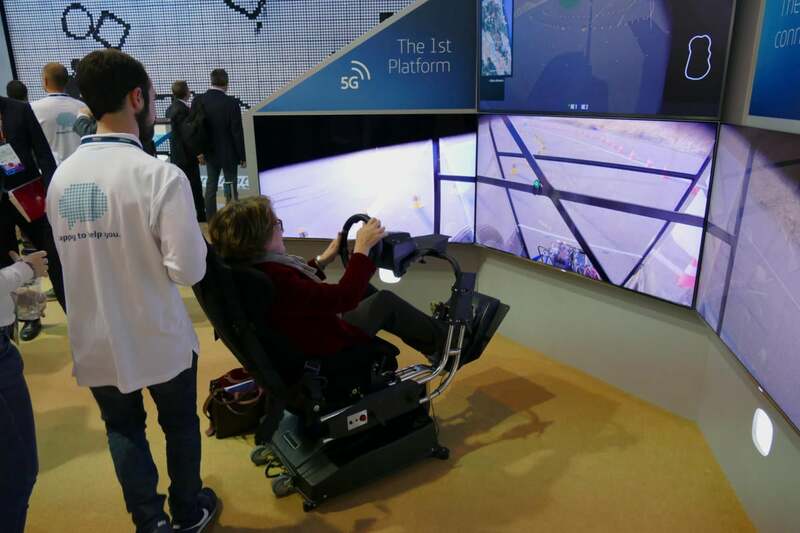 Telefonica demonstrated 5G low latency with a remote driving experience at Mobile World Congress 2017 in Barcelona. Spanish carrier Telefonica is letting booth visitors remotely drive a go-kart-like vehicle around a track about 70 km outside Barcelona. The driver steers as the track ahead appears in a live 4K video. It feels realistic, with a total latency, or delay, of 30 milliseconds. If it weren’t for having to send the video over a 70 km fiber link to the show, the latency would only be 4 milliseconds, Telefonica says. So if a vehicle were remotely controlled over 5G alone, it would be even more responsive. NTT DoCoMo showed off a model factory floor that could be viewed in virtual reality. A 5G connection of more than 600Mbps (bits per second) transmitted the VR view from cameras around the factory to a VR headset. An industrial robot in the model factory could also be remotely controlled over 5G. Other demos highlighted back-end features of 5G, like network slicing, which will let users set aside part of a 5G network’s capacity for their own use, with their own preferred speed and features. New partnerships and trials announced at MWC showed the major mobile players stepping up their efforts to develop the technologies behind 5G and get a standard finished faster. Intel, Qualcomm, Ericsson and several other vendors and carriers said they’ll create an early version of the 5G NR (New Radio) specification that will use elements of LTE but will allow for 5G-like network deployments in 2019 instead of 2020. In a keynote address on Monday, the CEO of South Korean operator KT vowed his company would launch the world’s first commercial 5G service in 2019 after carrying out trials at next year’s Winter Olympics in Pyeongchang. Verizon announced that Cisco Systems will help it roll out 5G trial services with several hundred cell sites and several thousand customer locations in the U.S. Cisco will supply backhaul equipment, a virtualized packet core and virtual managed services software to the project. Ericsson announced yet more 5G trials, with NTT DoCoMo, Vodafone and Telstra, for more than 30 deals it has on 5G already. Nokia highlighted its own trials with carriers, including Verizon's project. Huawei announced a virtualized 5G core for distributed networks. Device hardware makers are getting into the game, too. Intel is announcing the readiness of its first 5G modem silicon using a 14nm process. Qualcomm announced it’s expanding the Snapdragon X50 5G modem line to work on frequencies both below 6GHz, where cellular networks operate now, and in much higher millimeter-wave bands where much of 5G will happen.